View cart “Transform Self-Doubt Into Confidence – MP3” has been added to your cart. Comprehensive course includes 7 video lectures & 7 guided programs. Don’t Let Anger Rule Your Life! Responding to life with anger is one of the most destructive and difficult habits to break. Anger can ruin relationships, railroad an otherwise successful career, and generally make us feel rotten about ourselves. But it doesn’t have to be that way! This course can help you release your anger, and change your life! First, in video lectures author Max Highstein explains essential information, and outline effective techniques for you to practice. Then, through a series of guided meditations he’ll lead you to a deep level within, and help you make a dynamic inner shift. In this course you’ll get the information, tools, and the deep inner work to make a difference. 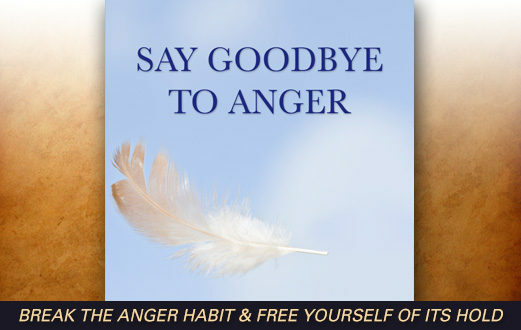 Take this course today, and Say Goodbye To Anger! Learn exactly how anger holds you in its grip, and why it's so tenacious. How to respond outwardly when faced with anger -- your own, and other people's. "I felt every bit of the first lesson and am looking forward to the rest!" "The first guided meditation brought tears." "Thank you for bringing in this healing modality. I value it very much. The guided meditations are wonderful and your voice is very loving, kind, and non-judging." "I did lesson and meditation 3 after writing the last message..wow, it was exactly what I needed to do next. I can see how I'll have to go back and practice this one many times." "This is my second time through the course and what has made the most impact so far is; expressing anger at something or someone has nothing to do with the present thing but is a release of anger inside. Being able to separate from the one being angry has helped defuse many situations, taking a breath and dropping to the heart." Release negativity, and open to new possibilities. Open your heart & release what you’ve held against yourself. Release painful feelings, and grieve in your own timing. Say goodbye to guilt & free yourself. Uncover and release old programming, and bring patience and peace into your your life.